We Service Residential Appliances! 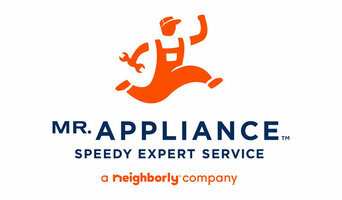 If the valuable appliances at your home and business are not performing correctly, contact the pros from Mr. Appliance®. We are here to provide you with skilled, affordable services that occur on your schedule. We are here when you need us! Every one of our technicians is courteous and will show up in uniform. We also will provide you with an upfront pricing before any work begins so there are no surprises on your final bill. If you would like to learn more about the services we offer, give us a call! We are a locally owned and operated family business located on the Northshore of New Orleans for 23 years. We only handle quality brands. Please let us help you choose properly with our knowledge of Appliances. New Orleans, Louisiana Swimming Pool Builders and Premier swimming pool contractors dedicated to making "the pool of your dreams".Premier Pools and Spas of New Orleans can custom design your pool and spa to accent your backyard and beautify your home. 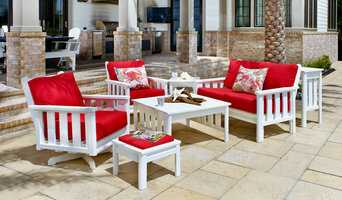 Metal Fusion, Inc. is the designer and distributor of King Kooker Outdoor Cooking Products and Accessories. It has been the trusted name in outdoor cooking for 38 years. Dr. Gary C. Anderson M.D is a Surgeon who specializes in the treatment of hyperhidrosis. During the past 20 years, he has performed over 2000 sympathectomy procedures on patients with sweating of the underarms, hands, face, scalp or blushing. Website: <a rel="nofollow" target="_blank" href="http://www.hyperhidrosisclinicusa.com/">http://www.hyperhidrosisclinicusa.com/</a> Hyperhidrosis Clinic USA contact@hyperhidrosisclinicusa.com 985-790-3293 478 Wood Street,New Orleans, LA 70113 Dr. Gary C. Anderson is a Surgeon who specializes in the treatment of hyperhidrosis. During the past 20 years, he has performed over 2000 sympathectomy procedures on patients with sweating of the underarms, hands, face, scalp or blushing. As anyone who’s ever tried to fix a broken garbage disposal or install a new microwave oven can tell you, sometimes hiring an appliance professional is worth every bit of the cost. Appliance problems can be time consuming for many Talisheek homeowners to diagnose and repair, and a botched attempt can lead to bigger hassles and more money out of pocket. And with some appliances, such as ranges, grills and other pieces powered by gas, hiring a pro is a smart safety precaution. 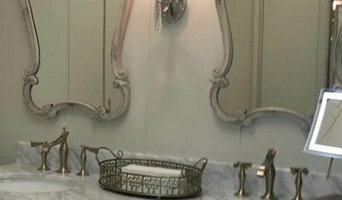 Read on for more tips before hiring a pro to help revamp your Talisheek, LA home. Your Louisiana appliance professional might handle any or all of the following jobs: selling, installing, repairing and upgrading both small and large appliances. He or she can advise you on the right equipment for your Talisheek, LA home, from features to finishes, and is usually in the know about the latest technological advances and bells and whistles. When appliances hit a snag or start to show their age, a pro can advise you whether to repair or replace them, then carry out his or her recommendation. 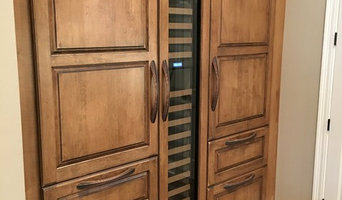 Some appliance professionals work closely with Talisheek, LA builders, remodeling contractors, and kitchen and bath designers, among others. Here are some related professionals and vendors to complement the work of appliances: Kitchen & Bath Fixtures, Kitchen & Bath Designers, Kitchen & Bath Remodelers, Specialty Contractors, General Contractors. Find an appliance professional on Houzz. Narrow your search in the Professionals section of the website to Talisheek, LA appliances. You can also look through Talisheek, LA photos to find examples of rooms with appliances you like, then contact the professional who worked on them.